​The amount of e-waste the world generates continues to grow at an alarming rate so it is more important than ever to do everything possible to keep this waste out of our landfills. Choosing an electronics recycling company that conscientiously recycles e-waste is critical to the environment and to your brand. 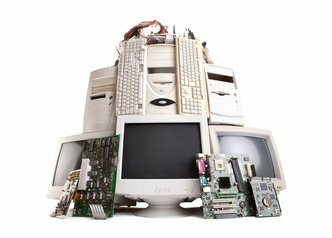 Whether it’s protecting sensitive customer data or enhancing sustainability, recycling your used computers and electronics safely and securely is a must. Stream Recycling has customers down the street and across the globe. They all trust us with their aftermarket service experience because they know we understand their business and we deliver on our promises. We are also fully committed to protecting the integrity of our customers’ brands by consistently meeting or exceeding their expectations of service, quality and performance. From the start, we realized that our loyal customers are the essence of our business, so exceptional customer care is built into the fabric of our operations. ​You Matter to Us: We work with you to understand your business and your IT asset disposition objectives. We Don’t Rest on our Laurels: By continually learning and evolving, we are able to provide the best support available. Our Solutions are Value-Added: We strive to deliver the maximum ROI on your end-of-life IT assets. You can Depend on Us to Protect Your Sensitive Data: Enjoy peace of mind knowing that your company’s privacy will remain intact when disposing of your IT assets. We Make it Simple: Our streamlined approach means one-stop shopping for all of your IT disposition needs. At Stream Recycling, we don’t underestimate the responsibility we have to protect your brand reputation. As an industry leader, we always employ the most current data sanitization technologies available in order to provide the most comprehensive protection for our valued customers. Our universal compliance policy ensures that our processes always meet all pertinent local, state and federal data security regulations. When you choose Stream Recycling, you can feel confident that your data and your brand will be thoroughly protected. ​Stream Recycling’s proven regeneration and recycling solutions can help you increase your business’s revenue, while reducing your carbon footprint. We realize, you and your customers need to have the latest generation devices and often upgrade to the newest technology on the market, even if existing equipment is still functional. Our advanced recycling solutions make it possible to upgrade IT assets in a way that is cost effective. Our regeneration services test, refurbish, and distribute your surplus assets… giving them a second chance on the secondary market.